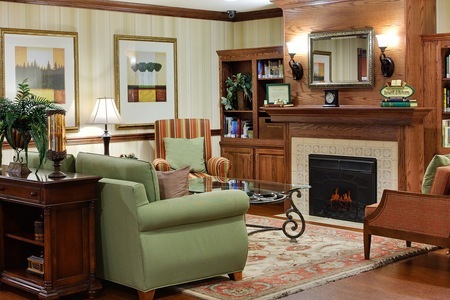 For guests residing at our hotel for a long period of time or for those who are traveling on I-57, the Country Inn & Suites® by Radisson, Marion, IL provides a relaxing break from a busy schedule. During your trip, watch a professional baseball game at Rent One Park, or play a round of golf at Kokopelli Golf Club. Wake up each morning with our free, hot breakfast, which features delicious items like Belgian waffles, eggs, sausage and pastries. 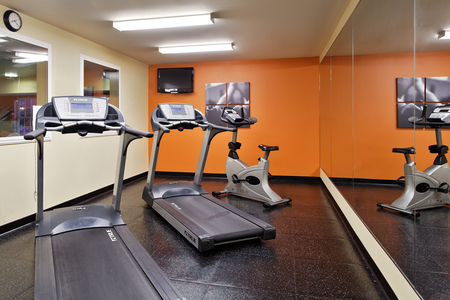 A pet-friendly policy and a location within 25 minutes of Southern Illinois University make our hotel ideal for families. Planning a longer vacation or business trip? 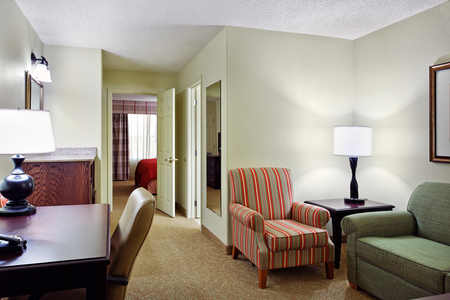 You can book one of our extended-stay rooms. Start your morning off right with pastries, Belgian waffles and other tasty choices at our complimentary, hot breakfast. Grab a cup of gourmet coffee and choose from a selection of hot and cold items to fuel your morning. For lunch and dinner, you can stop by restaurants within a few miles of the hotel, including the popular 17th Street Barbecue and Walt’s. Other well-known favorites include Cracker Barrel, O’Charley’s and Red Lobster. Kokopelli Golf Club – Golf Week Magazine ranked Kokopelli Golf Club as one of the top five courses in Illinois. After working on your swing, quench your thirst at the club’s sports bar. Best of all, the club is only a half mile away. Crab Orchard National Wildlife Refuge – The Crab Orchard National Wildlife Refuge is just a 10-minute drive from the hotel and makes a great spot for hiking and fishing. Hunters with a refuge-specific permit can pursue waterfowl and other game. Visitors on nature walks have a better chance to spot turkeys in spring, bluebirds in summer and white-tailed deer in the fall. During winter, you might glimpse bald eagles. Sports – Baseball fans of all ages enjoy watching the Southern Illinois Miners play ball at Rent One Park, located near the Country Inn & Suites. Cheer on the Salukis if you’re visiting loved ones at Southern Illinois University Carbondale. 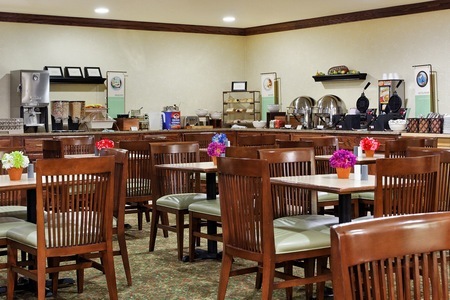 The Country Inn & Suites, Marion offers meeting space for up to 60 attendees in a convenient location near Williamson County Regional Airport and Interstate 57. Amenities like free high-speed Internet access and a 24-hour business center allow meeting hosts to easily prepare for upcoming presentations. We also work with sports groups to meet their unique needs through our Sports Approved Program. *A non-refundable, one-time $25 pet fee applies. Pet must be kept on a leash and may not be left unattended in a guest room.